The proven texts that students and teachers love to use... and retain as valuable grammar references beyond the classroom. Perfect for independent study or for teachers who want to combine classroom instruction with computer-based learning in the lab. 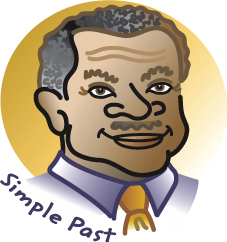 Understanding and Using English Grammar is a developmental skills text for intermediate to advanced students of English as a second or foreign language. While focusing on grammar, it promotes the development of all language skills in a variety of ways. It functions principally as a classroom teaching text but also serves as a comprehensive reference text for students and teachers. Blending communicative and interactive approaches with tried-and-true grammar teaching, the Azar Grammar Series offers concise, accurate, level-appropriate grammar information with an abundance of exercises, contexts, and classroom activities. 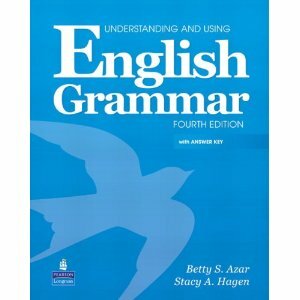 The communicative aspects of Understanding and Using English Grammar are more fully developed and explicit in this edition. There are numerous "real communication" opportunities for the teacher to exploit. The text often uses the students' own life experiences as context and regularly introduces topics of interest to stimulate the free expression of ideas in structured as well as open discussions. The text supports the view of many experienced teachers that grammar-based and communicative approaches are not mutually exclusive, but rather mutually supportive and can co-exist in the same language program, even in the same class, even in the same lesson. Similarly, the interactive aspects of the text receive greater emphasis in this edition. Many of the exercises formerly designated "oral" or "oral (books closed)" are now reformatted to be used for pair work or group work, in addition to still being viable as class work led by a teacher. This edition encourages interactivity but leaves it open for the users to decide what degree of interactivity best suits their needs. There is now an even wider variety of exercise types. This new edition has added more free-response exercises and open-ended communicative tasks, while still providing ample controlled-response exercises to aid initial understanding of the form, meaning, and usage of the target structures. It also includes more writing topics, more speaking activities, expanded error-analysis exercises, and additional extended-context exercises. Long chapters have been broken into shorter units, and certain grammar units have been reorganized. Student Book: available in full and split editions. Chartbook: a compilation of all the grammar charts from the Student Book, for easy reference. Workbook: available in full and split editions; offers self-study practice (with answers provided) for independent study or classroom use. 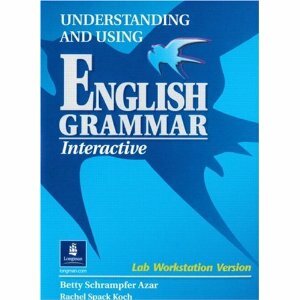 Understanding and Using English Grammar Interactive allows students to study grammar as they never have before! Through a dynamic combination of animation, audio, and voice recordings, this all-new multimedia program provides more than 100 hours of instruction and interactive practice. Understanding and Using English Grammar Interactive is perfect for independent study or for teachers who want to combine classroom instruction with computer-based learning in the lab. Animated Grammar Presentation: “Talking Heads” inform students about grammar and usage in lively, accessible and engaging ways. Development of Grammatical Awareness: Introductory dialogues help students notice how grammar works by highlighting use of forms. 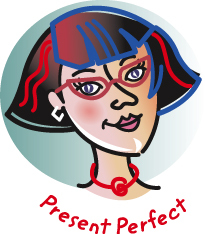 Extensive Grammar Practice: More than 500 new interactive exercises including listening, speaking and reading. Learner Support: Easy access to information through pop-up notes and grammar charts with clear examples and explanations of key points. Ongoing Assessment: Students can monitor their progress through immediate feedback on practice exercises, chapter tests, and score reports. *Please Note That We Cannot Ship Outside of the USA for These Products.